Notice I said “anything you can stomach,” meaning that there is lots of reading material suitable for adult students that is not uplifting or useful, that has language and subject matter not usually considered appropriate for school use. If you can stomach it, and the student likes it, you are ready to proceed. I’m happy to note that Kat doesn’t want to use “See Spot run,” but often there are no other resources available, especially for people at a really beginning level of reading. When I taught at a storefront literacy program, students would sign up for the free classes, but they had no money to buy books or supplies, and finding a sponsor to pay for them was slow or impossible. In the meantime, we wanted to seize the moment! So we learned to improvise and that turned out to be the best thing for holding students’ interest. What does the student want to read? That is the question to start with. “Do you have something in your life right now that you are trying to read?” If the answer is yes, you have your text. If it is above the reading level of the learner, see “difficult texts” below. And if the answer is no, have a conversation about interests, daily life, what mobile devices does s/he use, and so on. This conversation will help you find the texts to use to teach/learn/practice reading. Go for a walk with the student and a camera of some kind. The student takes pictures of text in the environment (the name of the building you are in, street signs, fast food places, menus, hours business are open, etc.) Work with the student to make a photo-essay of the pictures, in e-format. Working with the pictures, writing captions, deciding on the order to put them in, and so on will give lots of practice reading the signs. Make sure there is an easy link to the collection the student makes, so s/he can return to it again and again. Pride in the accomplishment will bring the student back, and the words will be read every time. Help the student find an audience for this piece by sending the link to people he knows, other students, other community members. Use your imagination. Encourage people to reply or comment. Ask the student what mobile devices he has; offer whatever you have available in the way of computers and other devices. Explore. Stretch the student’s skills. I find that many adult literacy students only scratch the surface of the devices, programs and apps they use. For example, someone may play a game, but not know how to customize it by changing game difficulty, scoring methods, music, avatars, etc. “Options,” “Save,” and “Delete” should be sight words for everybody. Start with whatever he knows, and push a bit farther. Give lots of time for practice. Use the language experience method to produce stories or essays about something the student is interested in, and then use them for reading practice. Show the student Pinterest or Paper.li, or some other program for curating content, and invite him to make specific boards or newsletters about a particular topic–cars or babies or animals or cops or… You can use some of the material collected to build vocabulary, teach phonics, or build comprehension strategies. 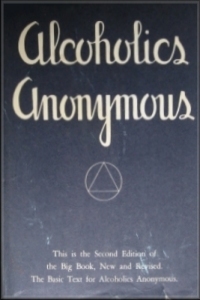 I always groaned silently when a student brought in the Big Book from Alcholics Anonymous, because the reading is so hard. Other difficult texts are manuals that the student needs to read for work or another course or sometimes a hobby. My strategy here is to step back, and approach the difficult text gradually. I might take a chapter of the difficult book and start by asking the student what he knows about the topic of that chapter, and have him brainstorm and then dictate to me an essay based on knowledge that he already has. This gives him a chance to see vocabulary in print that he is already familiar with; I would use that text to teach vocabulary, phonics skills and reading strategies. Then I would look for another form of the same content–perhaps an easy-to-read version from somewhere else, or maybe a video that I would ask him to view, review and summarize, probably with me writing the summary as he dictated it. (I would be ready to do the writing, because I want to get as complex a piece of text as the student is willing to give. If I ask him to write it himself, it will likely be shorter, less detailed, and less well organized.) Then we use that piece for reading practice. Sometimes I write a plain language version of the difficult text to practice with before we get to the main event. In essence I am teaching the content of the difficult text before I ask the student to read it, so that the ideas and the vocabulary become part of his lexicon before he deals with the text. I always use my version of pattern spelling with these beginning students, because it is an active, interesting, easy twenty or thirty minutes. It looks like spelling, so people like it; each session has the same structure, which provides a nice contrast to the other, more free-form work we are doing; it helps with reading because students learn to recognize the constantly recurring prefixes and suffixes that are part of English; each session results in a printed list of 50 to 100 words, all of which the student can read in isolation. Finally, best of all, students practice writing and spelling polysyllabic words–nice to go from “fresh” to “refreshingly” for a student who is a very basic reader. And is this not a lot of work for the teacher? Yes, of course. But since you are not taking home marking to do (You don’t give grades), and pattern spelling takes no prep, you can spend an interesting time sharpening your own skills in various programs and apps your student wants to learn, and doing some searching for material. And finding material for a student who is engaged is so much more fun. Some great ideas. While I don’t teach adult literacy, I do have teenage students who don’t read well, and the first rule I think of when I choose texts for them is to select something they actually WANT to read. Of course, sometimes we have differing opinions on the value of that material, but compromises are always possible. There is definitely a line there–teens often have parents or guardians who influence what the teens can read, and schools have codes. Adult literacy is freer in that respect–you only have to please the adult learner, and yourself. As I said, I’m pleased to be pleased with almost anything he or she wants to read, whether I think it’s valuable in itself or not. If they want to read it, they will read it, and eventually they will want to read something else. But there are also places you can borrow very very beginning readers – depending on the country you are in. Certainly in Canada, the US, The UK etc, there are collections at the literacy agencies – they may have books they can give away or know of ones you can get – usually books written by other students. These “books” may be old, pretty ragged and have few “production” values but they will show the books (readings) you and your student can produce! Thanks, Ev, for reminding me of all the great material for learners that is out there. The subject of another post, perhaps.